We’ve placed some entries on the back burner in 2014 to attend to life’s rigor and routine. But alas, here they are! Back in July, we visited Pho Viet, Newington’s first Vietnamese restaurant out of curiosity and our love for Vietnamese cuisine. Personally, I fell in love with Vietnamese cuisine back in college when I visited a cute, hole in the wall restaurant in Farmington. The fresh meats and vegetables lifted my taste buds to a level of flavor they had not experienced before. In the coming years, I visited other Vietnamese restaurants with Christina, but none quite compared. I wondered if Pho Viet could capture my heart and hers in the same fashion. Atmosphere: 10/10-The word “beautiful” isn’t one we use lightly, especially when it comes to describing the atmosphere of a restaurant, but it perfectly describes the interior of Pho Viet. We’re not using the word in a conventional sense either, but in terms of owners’ craftsmanship. Most restaurants owners will go through the trouble of decorating their restaurant by utilizing the wall space with pictures and signs, but few care to paint the interior in a way that is truly artistic. 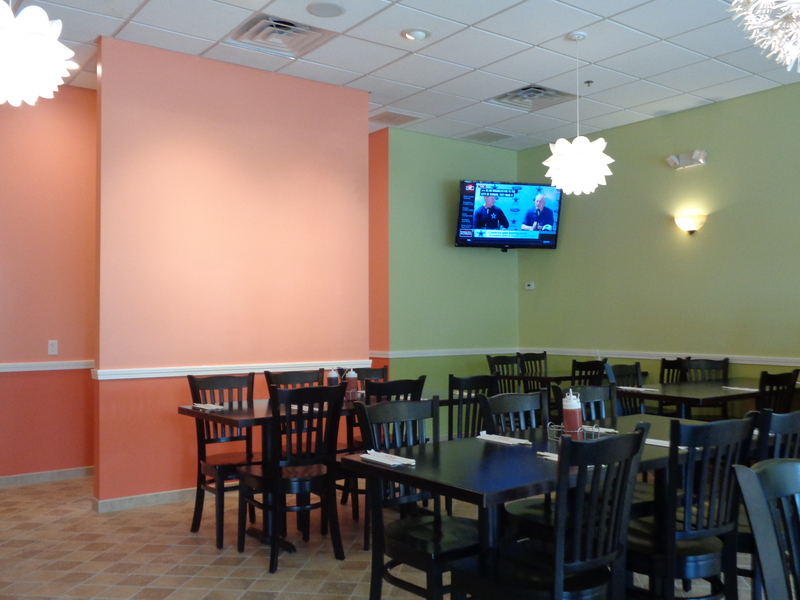 The brightly colored walls of Pho Viet remind visitors how deeply the owners care about how their restaurant looks and inviting visitors to experience their culture. Service: 9.5/10-Knowing how much the owners care about the ambiance of the restaurant, we expected the service to be equally great and we were not disappointed. Pho Viet offers the option of dining in or ordering out. As such, the staff members are always busy attending to multiple different tasks. While it’s commonplace for restaurants to face these challenges, Pho Viet has the edge in that most of the staff members are related. The familial bond makes it easier for them to work as a team and satisfy customers. 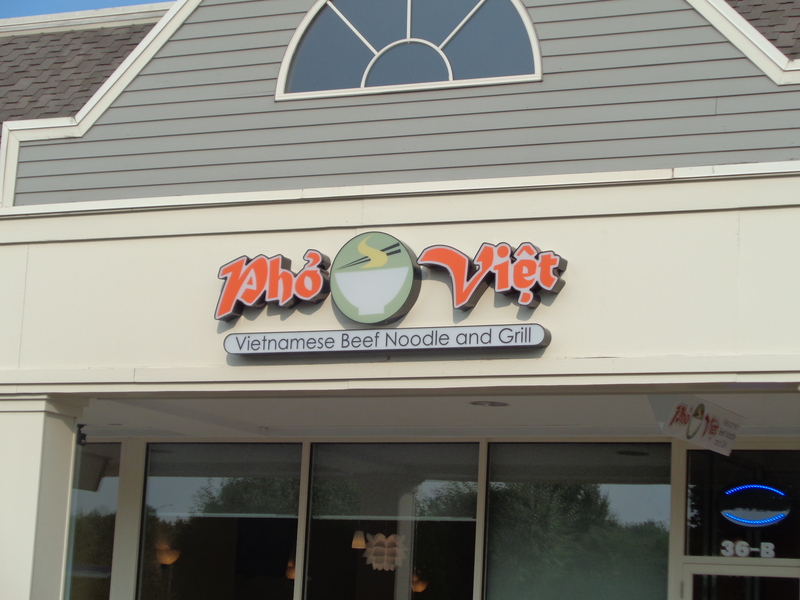 Price/Selection: 9/10-Pho Viet offers great prices in terms of its entrees and appetizers. Neither the appetizers nor the entrees exceed $12, giving this restaurant a competitive edge when comparing it to other Vietnamese restaurants across the state. Pho Viet offers a limited number of menu items and this works both to their advantage and disadvantage. Having a limited number of items makes it easier for customers to choose, especially those who have never tried Pho before. It is also an indication that the staff specializes in creating these items. A limited number of vegetarian items, on the other hand, could leave some customers wanting more. 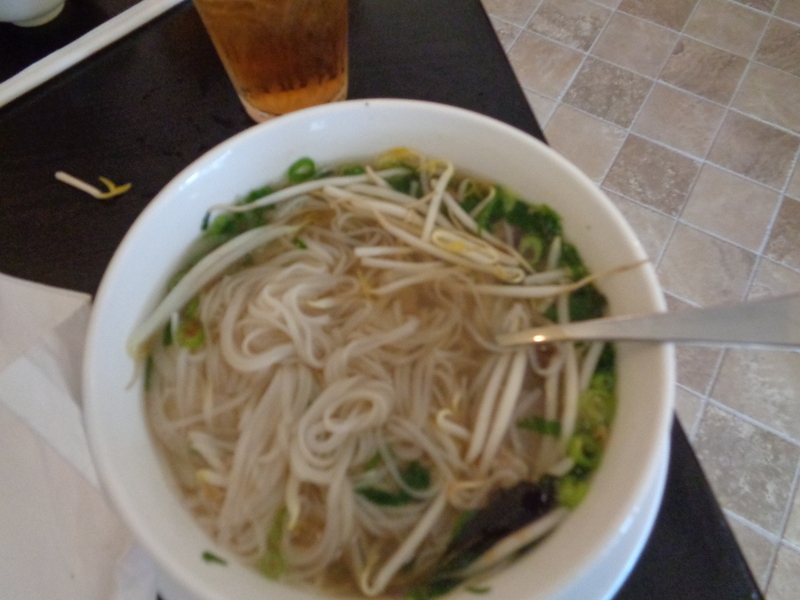 Taste: 9/10-Pho Viet’s pho proved to be the most satisfying item on its menu. The restaurant offers a number of unique items such as crispy spring rolls, rice vermicelli and Vietnamese rice dishes and soups, but none proved more delicious than the pho. Pho is a traditional Vietnamese soup consisting of rice noodles, basil, bean sprouts, lime and cilantro in a seasoned beef or chicken broth. We recommend trying the Pho Ga (rice noodles with chicken) or for those more daring, the Bun Bo Hue, a spicy beef soup with Hue style vermicelli. In a nutshell: 37.5/40-Pho Viet created a totally new experience from the Vietnamese restaurant we dined at in Farmington long ago. It reminded us that no matter how many of the same types of restaurants exist across the state with similar sounding names, it is still worth it to stop by one at your own convenience. You never know when you’re going to be surprised by the owners’ craftsmanship, competitively low prices or quality service that can only come from a true familial bond. CT Snapshot started two years ago with a newly opened Italian restaurant in Wethersfield. We went without any intention of reviewing the restaurant, never mind starting a review blog. We were two customers looking to enjoy an inexpensive, delicious Italian meal. We encountered sheer disappointment. A year later, we continued our quest in East Hartford. While our experience improved, we were still left wondering if a restaurant that served delicious, inexpensive Italian cuisine existed in the state. Last night, we continued our quest and decided to put Machiavelli’s Italian Restaurant in Southington to the test. Atmosphere: 8/10- From across the street, we noticed a few tables of people enjoying their meals outside. With wine glasses in their hands and good conversations, we knew they were perfectly content. 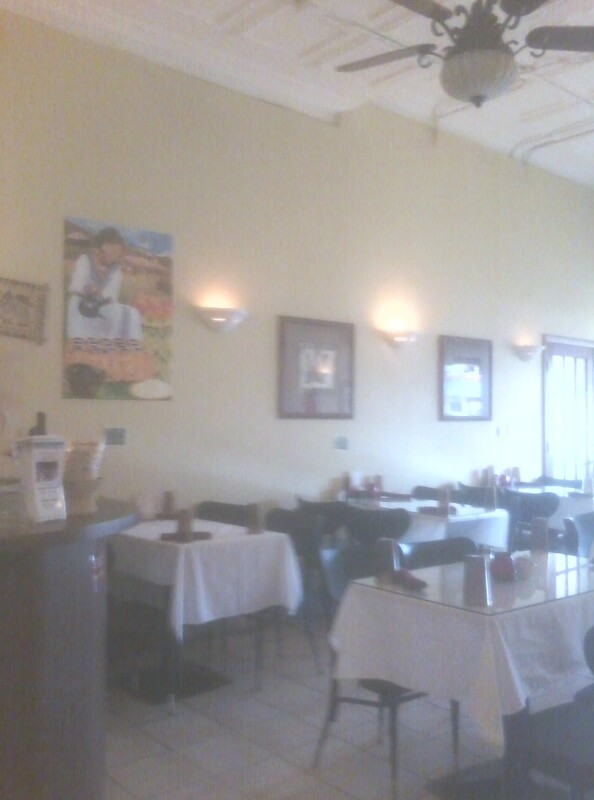 As we entered the restaurant, we noticed the paintings of Italian and Italian-American culture that mounted the walls. We were pleased to note that the staff took the time to decorate the interior. The tables, however, left us slightly disappointed. Our tables were not set until our waitress came. We also found it odd that most of the tables in the restaurant were without cloths.We understood that it was a busy night for the restaurant, but we wondered how our experience would turn out. Service: 9/10-We knew Machiavelli’s was short staffed when it seemed like our waitress served the majority of the tables at the restaurant. We also had to wait a considerable amount of time for our waitress to come to our table. Once she did, she apologized and took our order along with the orders of several other tables! We also received our meals in a reasonable amount of time. If the rest of Machiavelli’s staff is as efficient as our waitress proved to be, one can safely say that they care about customer service. Price/Selection: 8/10-Italian restaurants tend to be pricy, but Machiavelli’s Italian Restaurant has a number of entrees at affordable prices. Entrees range in price from $10.99 to $29.99. People of all income levels can enjoy meals without breaking the bank. 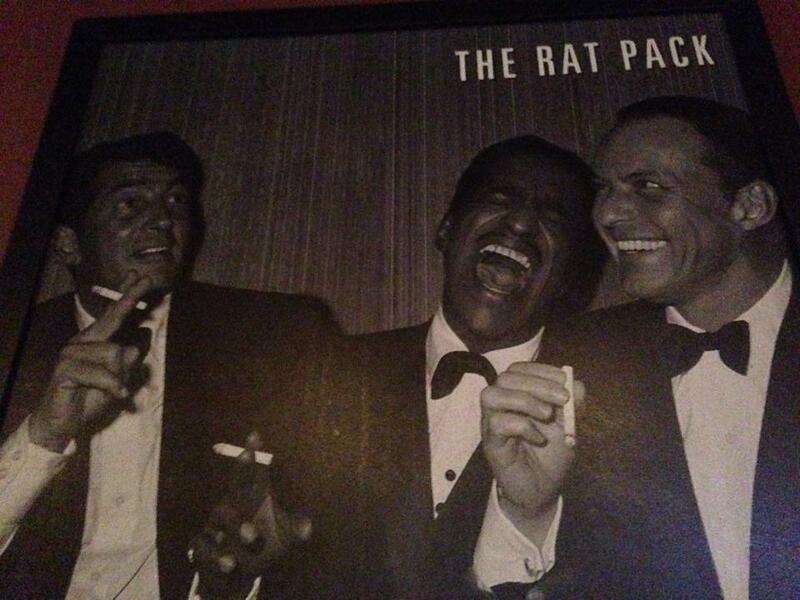 In terms of selection, Machiavelli’s offers a variety of entrees. We wondered if offering items such as steaks or burgers added or subtracted from the restaurant’s authenticity. Taste: 8/10- We were left with varying emotions about our entrees and appetizers. 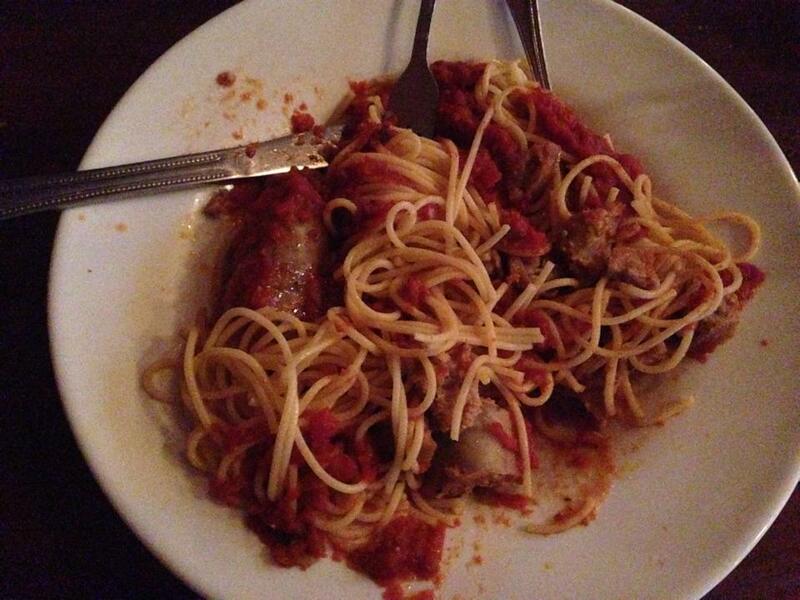 We took note of the delicious sauces, sweet taste of the Italian sausage and scrumptious clam pieces. We also enjoyed the freshly baked breads. We found the salad to be mediocre and could have had more vegetables to add to the taste. Christina also found her pasta to be a little dry. We can safely say though that we enjoyed our meals. 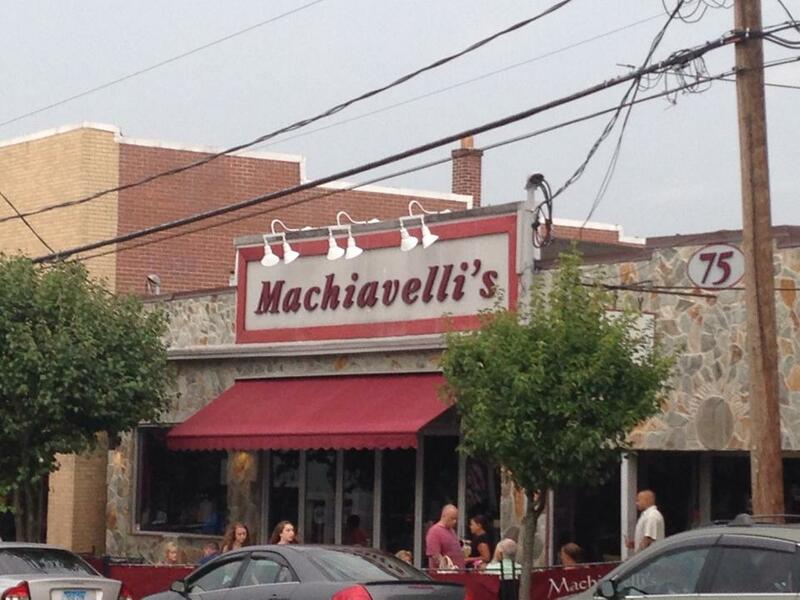 In a nutshell: 33/40-Machiavelli’s Italian Restaurant proved to be the best Italian restaurant we have reviewed in CT Snapshot so far. With a friendly staff and a wide array of menu items and tastes, we feel that Machiavelli’s Italian Restaurant has the potential to succeed in Southington. We still believe that an excellent, inexpensive Italian restaurant exists in the state and we will continue our quest to find it! Christina and I saw a peculiar sight when we were driving down East Main Street in Torrington one night. It was a quaint, little restaurant that stood less than a mile from the highway. We noticed that it was too small for people to eat inside and that it was only accessible by walk-up and drive-thru windows. We also noticed the restaurant’s sign-an adorable raccoon eating a rice bowl with chop sticks. We couldn’t recognize the name in the dark, but we remembered the sign and we were interested enough to conduct further research. Once we discovered that the owners lived in Japan before opening Teriyaki Boy, we knew we had to review it! Atmosphere: 9/10-Teriyaki Boy’s odd appeal is that it’s only accessible by a walk up window and a drive-thru window. In Connecticut, one would typically expect this up type of set up from an ice shop such as Dairy Queen, not a Japanese restaurant. Teriyaki Boy’s other appeal is its existence as one of the only rice bowl restaurants in the state. The owners knew they had something special to offer a town that already has many restaurants. These facts inspired us to drive an hour from where we live to eat there. While seating is limited, we enjoyed being able to eat outside on a sunny, summer day. Service: 9/10-Teriyaki Boy has a small staff, yet they are still friendly and efficient. While the owner was of few words, we found her to be pleasant and dedicated. The rice bowls take no more than five minutes to make, but this amount of time does not sacrifice the quality of the products. This speaks to the staff’s knowledge and practice in their craft. Selection: 4/5-The menu contains a select number of items in terms of drinks, appetizers and entrees. Rice bowls and curry make up the bulk of the menu. Customers can also order items such as miso soup, shumai (fried shrimp dumplings) and Tokyo style ramen. The rice bowl flavors include Beef Teriyaki, Chicken Teriyaki, Veggie Tofu, Salmon Teriyaki, Chicken Katsu Curry, Seafood Combo and popcorn chicken. Delicious Japanese soft drinks such as Calpico can be found on the menu as well. 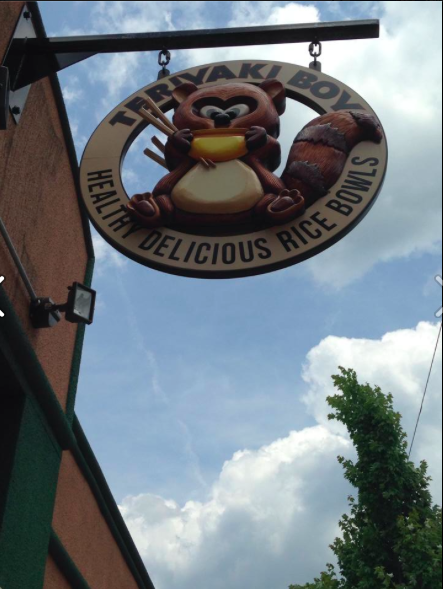 Price: 5/5-Customers will pay no more than $8.95 for a meal at Teriyaki Boy. Whether you are in a hurry for lunch or want to sit down and stay awhile, you won’t have to burn a hole in your wallet. 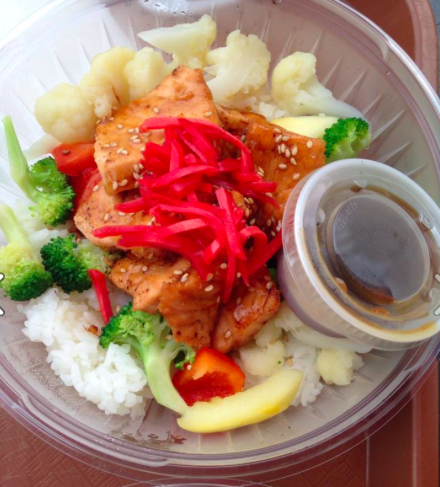 Recommendations: We recommend trying the Veggie Tofu, Salmon and Chicken Katsu Curry as our top picks for the rice bowl selection. Of the ramen, miso stands out as the most flavorful. For a drink, we recommend any of the Calpico flavors, especially the original lemon if you have never tried the beverage before. 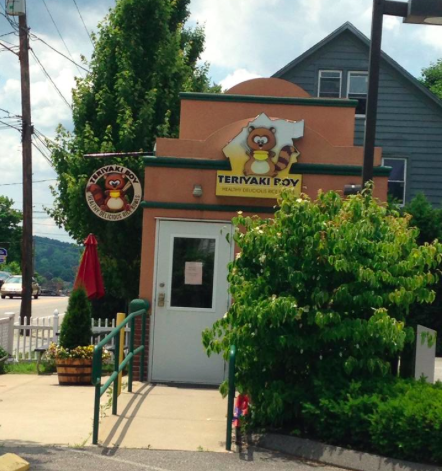 In a nutshell: 36/40-Whether you live in the Torrington area or you’re looking to make the trip, we recommend Teriyaki Boy for its delicious cuisine, affordable menu items and all around originality. In order to survive, people need to get the word about Teriyaki boy. If you enjoy what you try, please do the restaurant a favor and spread the word. We remember the college days in which we were so broke that Maruchan ramen noodles proved to be a cheap, practical meal. We’re not alone. Our friends also recall binge eating Maruchan ramen noodles because they were easy to buy and effortless to make. We failed to realize that eating Maruchan’s version was a disservice to our taste buds. Some of us went on to try real ramen in cities such as Boston. Others neglected to try it and failed to realize that restaurants exist in Connecticut that serve real ramen noodles. It wasn’t until after graduating college that Christina and I decided to venture to Fairfield to try Mecha Noodle Bar. Knowing that “mecha” means “mom and pop” in Vietnamese, we were in high hopes for a home cooked, ramen dinner. 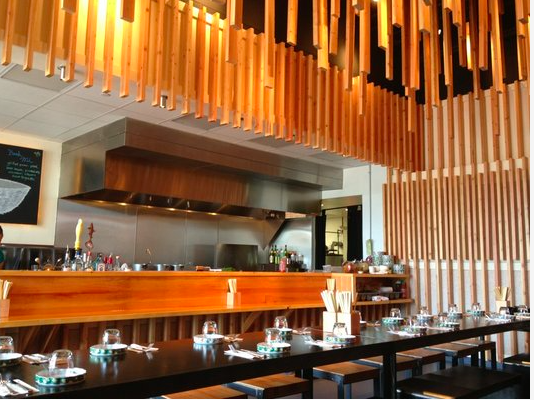 Atmosphere: 9/10-We were disappointed to discover that the image we captured of Mecha Noodle Bar’s interior was too blurry and used an image from Yelp instead. We’re pleased to report, however, that Mecha Noodle’s interior is one of intrigue. Immediately upon walking inside, we saw a plethora of decoratively hung and placed wooden pieces that reminded us of a bamboo village or forest. The music did not add to the atmosphere though. Service: 8.5/10-Mecha Noodle Bar seemed short staffed that night and it took longer than we expected to receive our meals. A restaurant that attracts many customers per night needs a number of staff members to keep up with the demand. Nonetheless, we received competent, friendly service. We found our waitress to be both personal and knowledgable. Without hesitation, she answered our questions about the menu and the restaurant itself. Price/Selection: 9/10-The restaurant’s menu offers a wide selection of items, including ramen, pho, dumplings, cocktails, wines and beers. We were particularly impressed by their beer selection, as Dogfish Head is our favorite IPA. 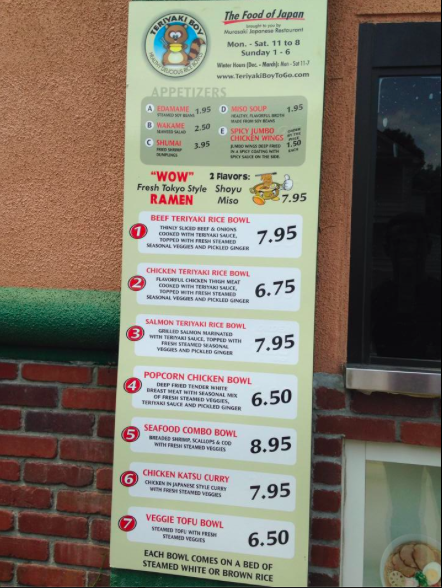 We were also surprised by the number of ramen items on the menu versus the number of pho items because of the reputation the restaurant carries for its ramen. We figured that Mecha Noodle Bar also has a reputation for their affordable entrees that range from only $10-19! Taste: 9/10-When you try ramen or pho from Mecha Noodle House, you probably won’t want to settle for the store brand again. While the entrees varied in terms of taste, our taste buds were pleased with what we tried, especially with the ramen and dumplings. If you have never treated real ramen before, we recommend the miso ramen because we are especially fond of the red miso/chili oil combination. If you’re a seafood lover, we recommend the mazemen dish for its variety of shellfish. In a nutshell: 35.5/40-We recommend that you stop by Mecha Noodle Bar for its admirable selection of ramen, pho and alcohol along with its decorated interior. 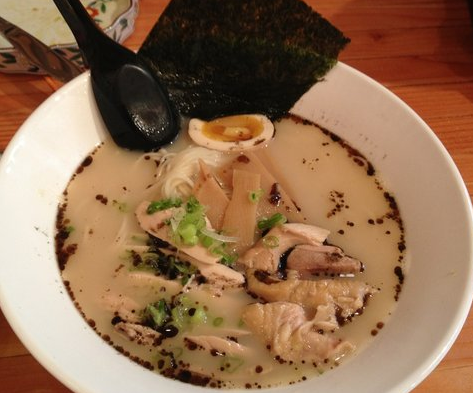 If you have never tried real ramen before, you might not revert back to your store brand ramen days! To kick off season 3 of CT Snapshot, we decided to review Taíno Smokehouse in Middletown. While several smokehouses exist in Connecticut, Taíno Smokehouse stood out to us because of the history behind its name. According to the description on the restaurant’s website, barbecue originated with indigenous peoples of the Caribbean such as the Taíno. Today, barbecue is very much part of American culture, but many Americans don’t know where the cooking method started. By simply visiting the restaurant’s website, we knew that the owners want to remind people of barbecue’s Taíno roots and serve delicious cuisine to customers from all over. We couldn’t wait to check the place out and chow down. 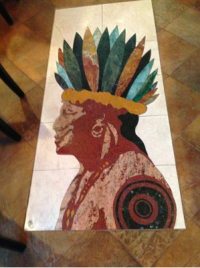 Atmosphere: 9/10-When you enter Taíno Smokehouse, you’ll likely notice the design of a Taíno chief on the floor. The design reminds people of the restaurant’s logo and barbecue’s Taíno origins. Even if customers did not know about the history behind the restaurant’s name, the design and logo create a sense of wonder and intrigue. 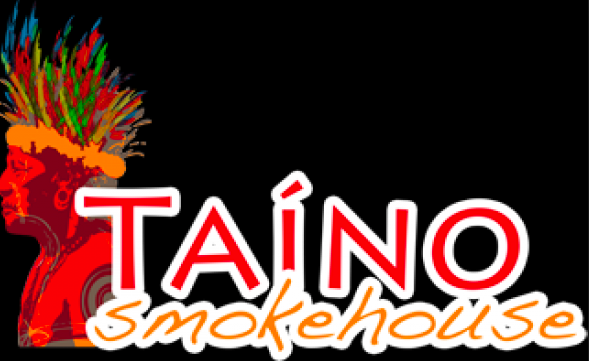 Likewise, the logo, name and design differentiate Taíno Smokehouse from other barbecue restaurants in the state. With a few more Taíno-related decorations, the restaurant could really stand out. Service: 10/10-Taíno Smokehouse is not spacious, but seating indoors and outside fills quickly. The waiters, waitresses, cashiers and cooks can handle the demands of their customers. They also treat customers with a friendly attitude and constantly check up on them. These qualities speak volumes about Taíno Smokehouse in terms of their care for quality, customer service. We also didn’t have too long for a check. Price/Selection 8/10-Taíno Smokehouse offers a wide selection for their menu in terms of their appetizers, wings/chicken pops/shrimp, BBQ sandwiches and BBQ dinners. We expected a bigger portion size for the amount we paid for our dinners, but we found the portion size for our appetizers to be more than suitable. Taste: 8/10-We had mixed feelings on the taste of our entrees. Make no mistake; we enjoyed our entrees, but some proved more savory than others. 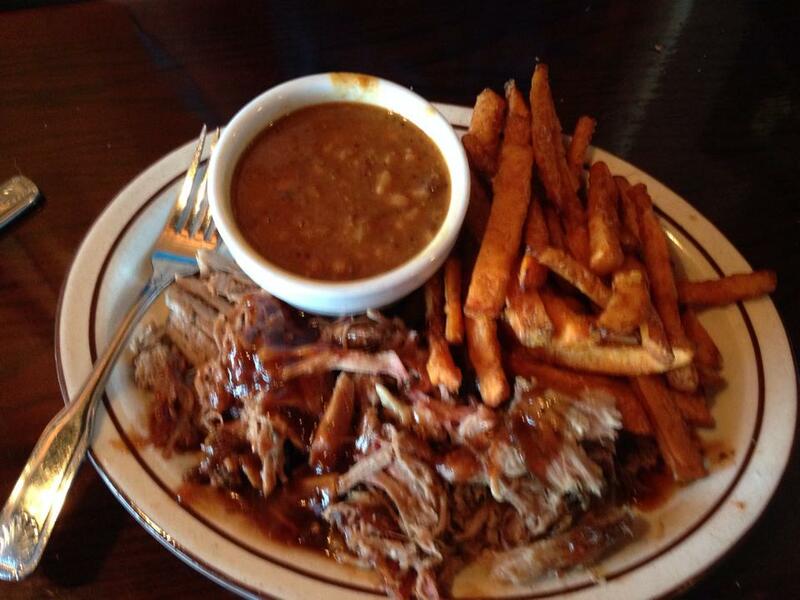 We found the BBQ pulled pork dinner to be fantastic along with the sweet potato fries. The BBQ chicken dinner proved satisfying as well, but not quite on the same level. Nonetheless, we enjoyed our entrees and left zero scraps behind. In a nutshell: 35/40-In a nutshell, we enjoyed the history, service and entrees of Taíno smokehouse and encourage our readers to visit. We plan to stop by Taíno Smokehouse in the future, but we must venture on to other restaurants in the state before doing so. After another long winter-spring break, we’re back! While the break lasted a little too long, it allowed us to visit a few places that we plan to write about in the near future and research new places to visit. Hartford’s Abyssinian Ethiopian Restaurant intrigued us because it exists as one of the few known African restaurants in Connecticut. When only a few restaurants of a certain cuisine exist in Connecticut, they tend to be expensive. This rule generally applies to French restaurants and Russian restaurants in the state. We saw the $12 for $24 deal on Groupon and hoped Abyssinian would prove to be the exception. Here’s how our night panned out. Atmosphere: 8.5/10-When we walked into Abyssinian, we were drawn to the African paintings on the wall, the miniature statues that were placed above the cashier’s counter and the music that played in the background. These three factors intrigued us. These factors let us know that the owner(s) wanted to distinguish this restaurant as uniquely Ethiopian. We also noticed the dim lighting in the restaurant and unlit candles that sat atop our tables. If the staff altered the lighting or lit the candles on the tables, they would be more likely to attract customers from the outside. Service: 9/10-We found the staff to be pleasant and quick-handed. We received our meals in a timely fashion. We wondered how the staff would fare on a busy night because we were only one of few groups of people in the restaurant that night. If Abyssinian finds that they are understaffed on those nights, the management should consider hiring more employees to help, especially when the Groupon deal results in an increase of customers. Price/Selection: 8.5/10-The prices are reasonable and affordable. Appetizers range from $6.95 to $7.95. Entrees range from $11.95 to $16.95. You won’t make a dent in your wallet here and with the Groupon deal, you can get much more for your money! 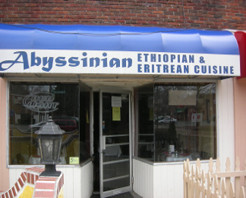 Abyssinian also offers a diverse selection of Ethiopian cuisine with plenty to choose from. Composition/Taste: 9.5/10-If you have never tried Ethiopian cuisine, we strongly recommend you do so. Ethiopian cuisine typically consists of a variety of vegetables and spicy meats that are served atop injera, a sourdough flatbread that is so large you might mistake it for a napkin! Ethiopians eat this cuisine with their right hands. 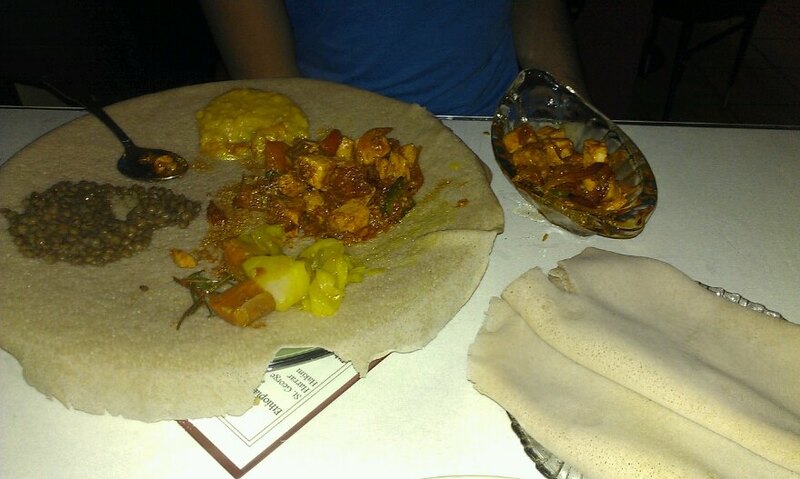 They use pieces of the injera to pick up the various meats and vegetables. Don’t make the mistake we did. We used our spoon to pick up the ingredients. When the ingredients entered our mouths, we found ourselves immensely enjoying the flavors that touched our taste buds, especially the flavors absorbed by the injera. We recommend you try any of the chicken, lamb, beef, seafood, vegetarian or rice dishes to taste what we’re talking about. In a nutshell: 35.5/40-Abyssinian has the look, the taste and the staff, but they need the extra “wow” factor to make their restaurant stand out. In other words, they need something from the outside to draw the customers from this busy street in, something that says “look at us.” Abyssinian is restaurant worth stopping by. The management needs to find “something” to let Connecticut know this. 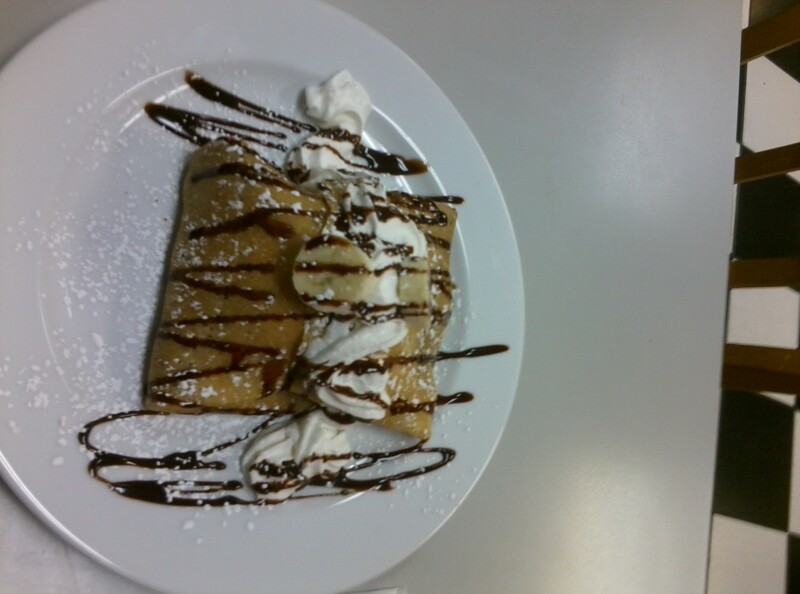 We celebrated CT Snapshot’s one year anniversary at Watertown’s Diva La Crêpe. We previously visited two crêperies in Rehoboth, Delaware last August. These crêperies proved both delicious and awful in terms of their quality and service. We found the best ones provided quick, quality service,reasonable prices and variety in terms of their menu items. We felt it was high time we tried a crêperie in Connecticut. When we searched for crêperies in our state, we discovered that the prices were higher than the ones in Delaware. Some would argue that you should expect high prices of quality, French cuisine. We hoped Diva La Crêpe, a crêperie with a Japanese twist, would disprove this notion. Important Note: We encourage Diva La Crêpe to check out Groupon and Living Social to increase their number of customers. They exist in a slightly hidden location, but could quickly become a staple of Connecticut crêperies if they take advantage of these opportunities. Atmosphere: 8/10-When we stepped into Diva La Crêpe, we noticed its quaint atmosphere. 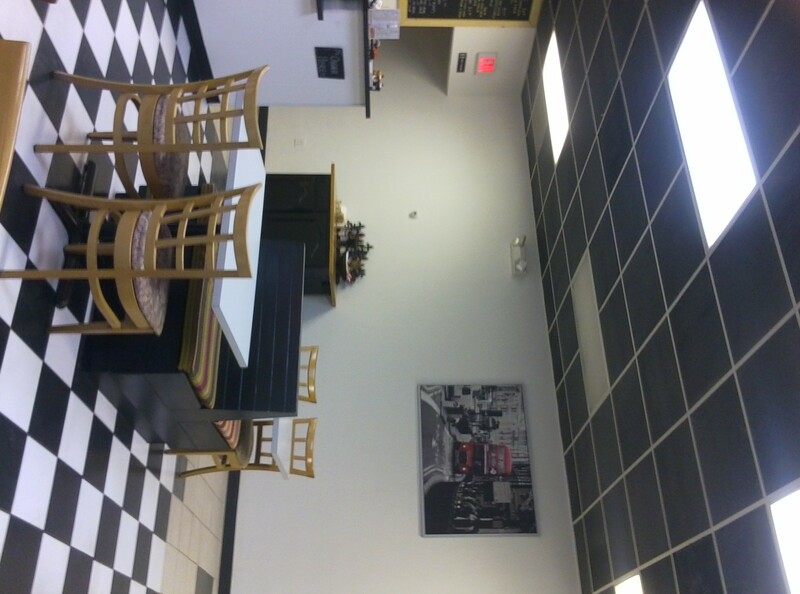 The chalkboard menu, checker tiled floors and pictures of France stood out to us the most. We were taken, but not fully enamored. If Diva La Crêpe adds a few more decorations to express that they are a Japanese influenced crêperie,they would likely attract more customers. Nonetheless. Diva’s modern feel made for an enjoyable stay. We appreciated the fact that Diva doesn’t try to masquerade as a restaurant that serves expensive French cuisine. Service: 10/10- What Diva may lack in decor, they make up for in service. We encountered fast and friendly service at Diva. By friendly, we mean a conversational, smiling, polite staff. We have reviewed several restaurants throughout the state and never encountered service this friendly. The chefs also cooked the crêpes quickly without sacrificing composition and taste. We enjoyed the fact that the chefs make the crêpes in front of you. This speaks to the honesty and confidence of the staff. 1. Choco Loco-a Japanese style ice cream crêpe with nutella, bananas, chocolate ice cream, whipped cream and drizzled with chocolate sauce. 2. Alaska-a savory crêpe with smoked salmon, cream cheese, cucumber, basil, spinach and house mayonnaise dressing. 3. Fantastic New York-a Japanese style ice cream crêpe with cheese cake, strawberry, ice cream and whipped cream. 4. Spicy Mango-a savory crepe with grilled chicken breast, mango, spring mixed greens an spicy mango dressing. 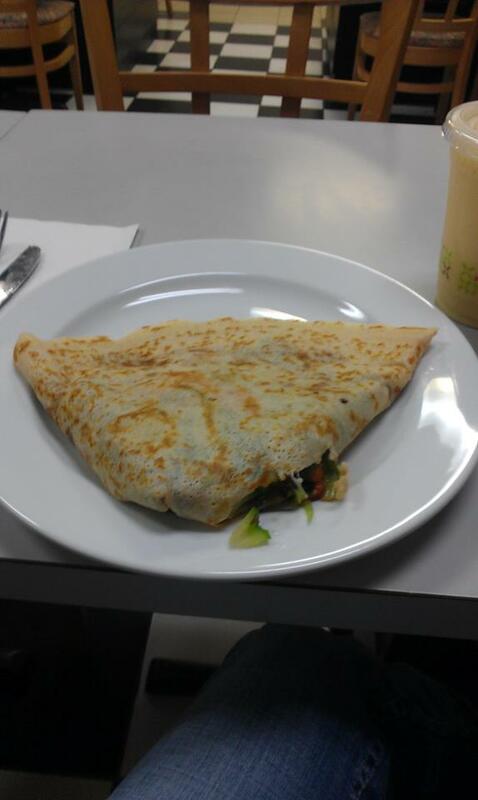 Composition/Taste: 9/10-The crêpes’ decor proved both artistic and appetizing. The mere design of the crêpes compelled us to chow down and try more of them. The crêpes lived up to their savory and sweet labels on the menu. The ingredients are fresh. We especially enjoyed sinking our teeth into the Japanese ice cream style crêpes. The flavorful ice cream complimented the other ingredients quite well. Diva La Crêpe vs. Bon Appetit Crêperie & Cafe: We believe customer service is key when making a decision about a restaurant. One Yelp user wrote of Bon Appetit, “My boyfriend left a 20% tip on the table and we went up to her hostess stand to pay. After he had paid she said something to him I’m guessing that was asking if we needed change, implying that we need to leave a tip. When he said, “oh no it’s all set” (meaning we left it on the table) she got upset and said to us with an attitude “You need to leave at least a 15% tip!” I was in utter shock.” We believe this type of treatment is unacceptable. Waiters and waitresses should not demand tips from customers or automatically assume that they did not tip. Diva La Crêpe vs. Caroline’s Crêperie: Caroline’s Crêperie boasts great ratings on Yelp. Their menu also displays a good variety in terms of crêpes. Diva La Crêpe offers a more unique selection with their Japanese style ice cream crêpes. Caroline’s Crêperie is slightly more expensive, ranging from $4-10 in price of crêpes. In a nutshell: 37/40- Diva La Crêpe earns an A for its unique selection, great taste and affordable menu items. 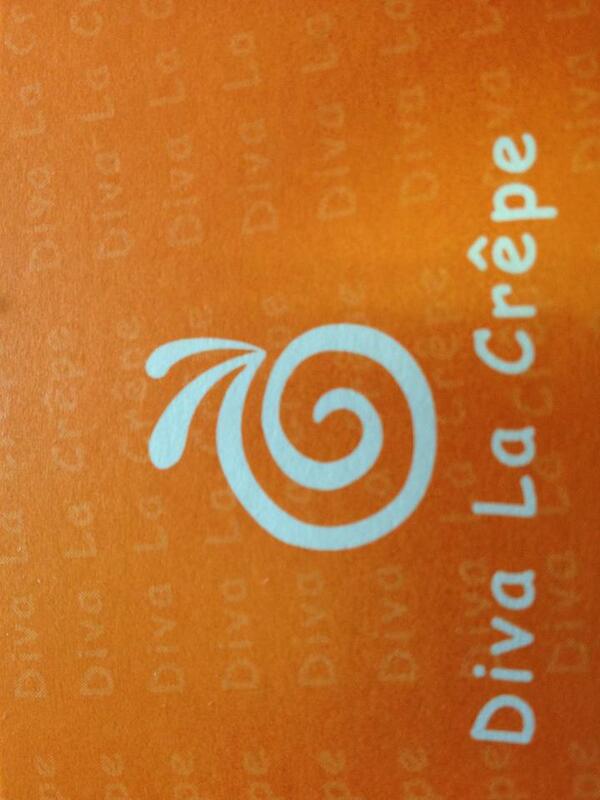 We encourage you to stop by Diva La Crêpe for breakfast, lunch and dinner and tell your friends.